Holiday Apartments has been created for Apartments, Holiday Rentals, Hotels and other kinds of booking websites. 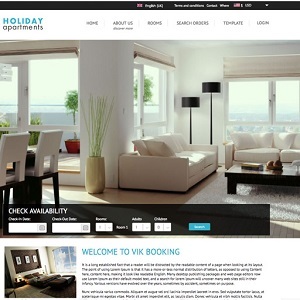 Holiday Apartments is fully compatible with our Vik Booking component and all of its functionalities. 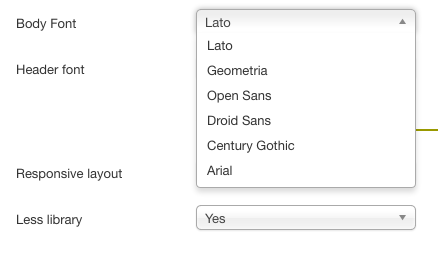 The template does not include any sample contents or quick start packages. The template can be installed on any running Joomla website. Choose one of five colors for your website. Two Vik Booking Search Modules, regular and horizontal. 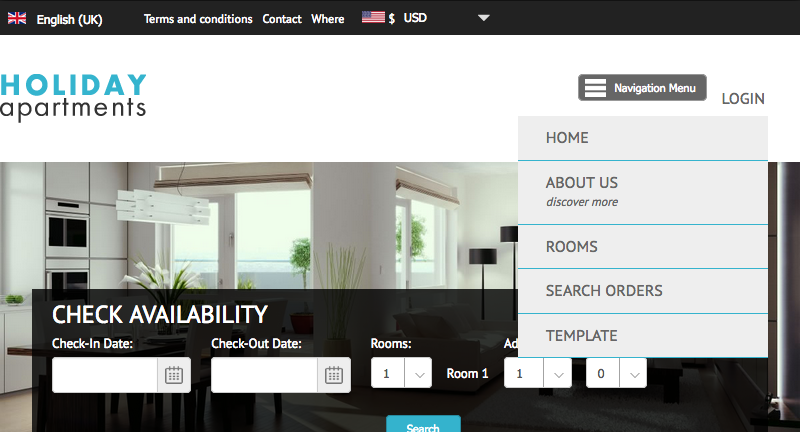 The Rooms module, a rooms slider useful to display rooms on your Homepage. A module that allows you to display reviews you've received from TripAdvisor on your website. 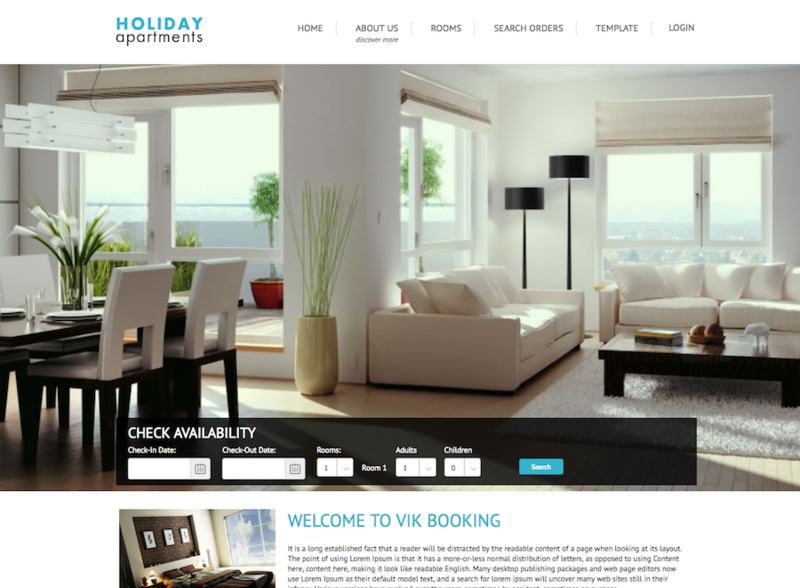 The Holiday Apartments template was built to fit with the Vik Booking component's requirements. 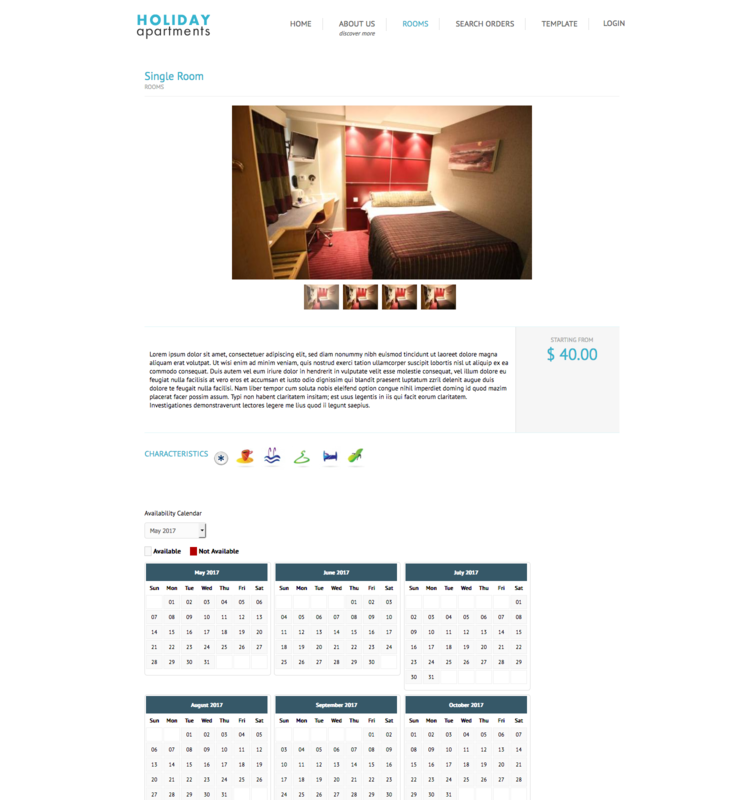 Discover how the Vik Booking pages have been displayed with all the graphic details customized for this template. Check for example the Rooms list or the Room details page to have an idea of how your Company and its services will look like. 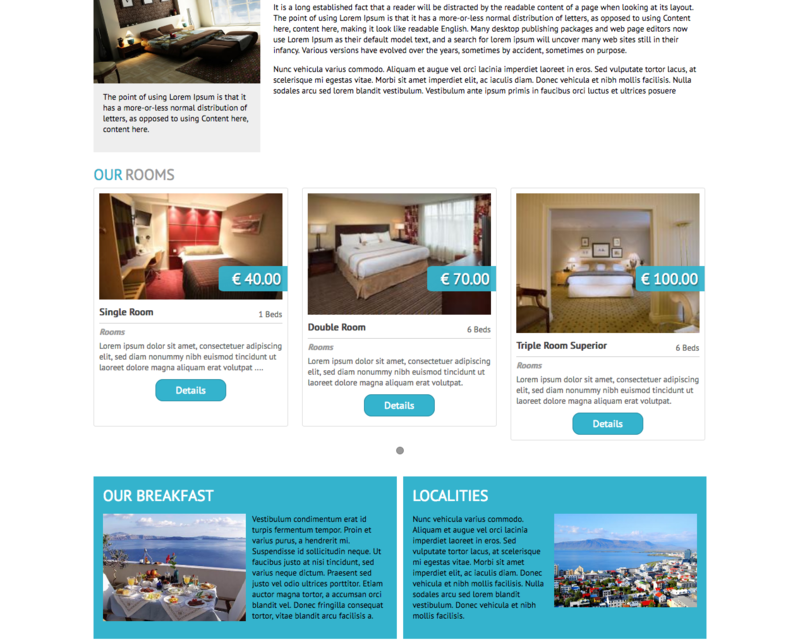 Holiday Apartments offers a clean menu design for your website.